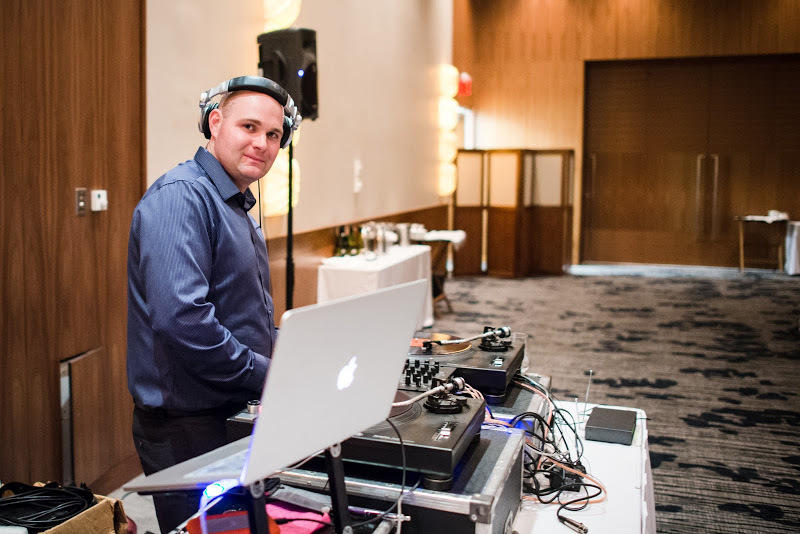 Dale "DJ Sage" is well versed in the balancing and genre blending of weddings. Last year alone he did over twenty weddings, and he has been deejaying weddings over the last eight years, and DJing at clubs for eleven years. Typically the format is to start things off by playing Motown/50 & 60s for the older crowd, then a little funk & disco/rock/80s, and by 11pm working that old school/new school music in. However, the night is yours, so you can customize a soundtrack that fits your specific needs. 1600 watt sound system with three speakers and a subwoofer. Either two CD style turntables or two conventional turntables (vinyl). Two Ego lights (controllable lights that project razor sharp flower effect graphics or other visual designs to the beat of the music). One corded Shure 58 microphone. Over 30,000 songs in array of genres including 50 & 60s, classic rock, funk & soul, disco, 80s, reggae, and various hip-hop and R&B from over the last 25yrs and all the latest club and radio track. Special requests can also be easily accommodated. Play from the guest arriving until the very end of the night; including lounge/jazz music (Michael Buble, Diana Krall, Miles Davis, D'Angelo, etc) as the background during dinner. Numerous references from past clients.